Investigative journalism is claiming more scalps. Sir John Rose, former head of Britain’s engineering pride and joy, Rolls-Royce, is now under investigation by the Serious Fraud Office, along with other senior members of his team, following allegations of bribery and corruption in the Financial Times. Rolls-Royce’s £671m payment, of which nearly £500m will be paid to UK authorities, is the biggest ever penalty for criminal conduct for a British company. Although Rose retired from Rolls Royce in 2011, following the SFO’s inquiry he has abruptly stepped down as a trustee of the Eden Project, a director of Ombu, which invests in industrial technology companies. Rolls Royce’s results are eagerly anticipated this week. BT’s share price fell by almost 20% last Tuesday, after an update on an accounting scandal in its Italian business led to a profit warning, and the resignation of the head of its European operations. BT admitted last October that it had uncovered “historical accounting errors”. It wrote down £145m, and most of the Italian unit’s management were ushered out of the business. Volkswagen has been in the news on both sides of the Atlantic. 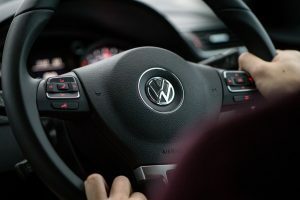 After agreeing to pay out $14,7 billion to 475,000 American purchasers of Volkswagen cars in July last year, the beleaguered manufacturer now has to shell out €26,500 to every German who bought a Skoda Yeti with a 2.0-litre TDI diesel engine, according to Bloomberg last month. VW “deserves to pay” for tricking drivers and regulators, said The Washington Post in an editorial. “The company brazenly defied the law, unfairly undercut its competitors, cynically betrayed its consumers, and damaged the country’s air quality.” The Week July 2016. There are lots of other examples of the media exposing business malpractise —the Findus horsemeat in your burger scandal in 2013, BP’s Deepwater Horizon’s oil spill in the Gulf of Mexico in 2010, and, going back to the 1980s, winemakers putting in antifreeze to sweeten wine and the Tylenol adulteration scandal. The Fourth Estate plays a vital role in providing consumer protection against just such scandals: but are they the only companies cutting corners to reduce costs? We hope so, because some of these incidents seriously threatened our lives. For years the Institute of Directors and the Financial Reporting Council have been banging on about good Corporate Governance: splitting the roles of chairman and ceo, having independent directors head audit and remuneration committees, triple bottom line accounting that looks at staff welfare and corporate social responsibility as well as financial results—and yet these scandals seem to grow exponentially. The truth is that no board, no matter how committed, can be fully informed about all aspects of the business its members direct all the time. And corporate governance compliance is only compulsory for quoted companies. If the media uncover malpractice in your industry, as they ought, how will this affect your bottom line? Will you end up, like the companies mentioned above, without your top executive team and paying out, in the case of VW, a fifth of your value? Perhaps it’s time to review your business standards, whether you are obliged to do so or because you fear you might not survive dissection by the media, a sunset industry somewhat more focused on growing circulation than credibility. Ask Rupert Murdoch about the media forcing the UK government to spend £5.4 million hounding his paper News of the World, an exercise that resulted in one imprisonment. Visit our website and take advantage of our free trial of the Forecast5 financial forecasting package to see just what a frightening effect such a scandal could have on your budgets. The pound made its biggest gain in a single day since 1998 after Theresa May said Parliament would vote on any Brexit deal, Britain was prepared to leave the EU single market and gave some indication of her closely-guarded plans to achieve what the aforesaid sister’s paper The Sun is calling “Brexodus”. Consequently the FTSE 100 recorded its biggest daily fall since Brexit. It had benefited from a falling pound that boosted exports and tourism—but this was reversed when the pound strengthened almost 3 per cent. Since the Brexit referendum it is still down about 17% against the US dollar. Did you forecast any of this? Are you able to present a cogent analysis of your company’s financial value following these swings and roundabouts? We at Forecat5 are standing by to help with financial projections, business budgets and forecasting solutions. Download our free trial here.